Clear all 58 jellies, bring dawn all ingredients and reach 185,000 points to complete the level. This level has hard difficulty. 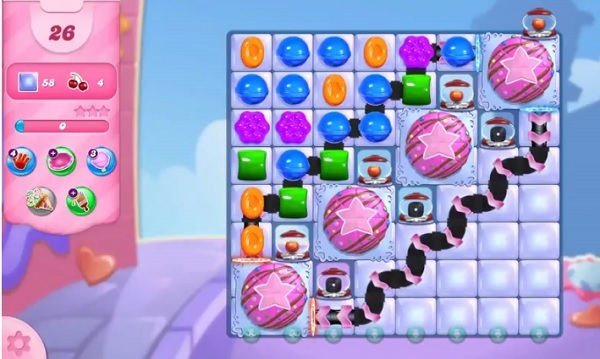 For this level try to play near to cake and make special candy. Combine them with each other or play near to ingredients to move them and take them out from the board. dawn: should be down. Bring down all ingredients. 2nd request to correct this continuous misspelling. Can’t be done in 16 moves. Why do they keep doing this? Why are the latest levels with less moves than being shown on your videos? Level 3098 has 16 moves instead of 26. Please correct the problem.